Marrapinti rockhole lies to the south of Kiwirrkura in flat country where there are no tali (sandhills). 'Marapinti Tjukurrpa' is a story about many Tingari kungas (young women) of all skin groups who travelled and camped together between rockholes. They travelled without any men. They went to Milmilpa and Yaka Yaka east of Malpurri where they finished up and went underground. This country belongs to Giles' mother and father. 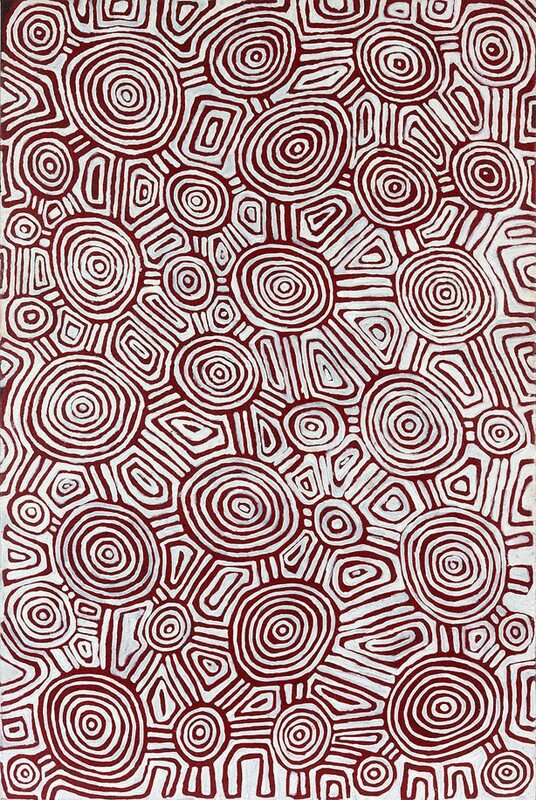 © Estate of Jackie Kurltjunyhintja Giles Tjapaltjarri. Courtesy of Kayili artists. Licensed by Copyright Agency. 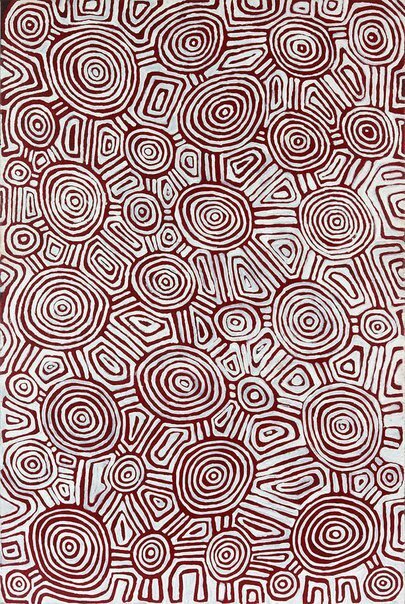 Hetti Perkins, Art + soul: a journey into the world of Aboriginal art , ‘Dreams + nightmares’, pg. 86-153, Carlton, 2010, 112 (colour illus.). Giles Tjapaltjarri pictured in front of work at the Art Gallery of New South Wales, August, 2009.